Our upstream suppliers are some of the world famous manufacturers in the industry. We use a wide range of materials from micro fiber, ball fiber, multi-hole fiber, strechable fiber and antibacteria fiber, to produce in various nonwoven fabrics.We can supply any type of product the customer needs, in a full spectrum of softness, insulation and other properties. We offer a wide choice that is certain to meet any needs of the market. Choose THERMOLITE® insulation, and you'll be choosing a global brand with global marketing support. Our programs seeks to build and maintain brand awareness at a high level so performance oriented customers continue to ask for THERMOLITE® in their performance and casual apparel needs. 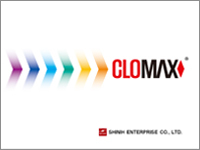 The CLOMAX® brand builds value around its functional and emotional benefits in ways that are additive to the performance and quality of the garments and products. CLOMAX® series offers specialty and functional products. 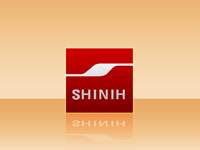 Shinih offers one of the most complete and wide variety of insulation products. Shinih also offers, in a limited way, co-development with brands and retailers for programs looking for specific features or performances in insulation.